While looking at a motorcycle's specification sheet, you may have noticed bike makers using acronyms such as SOHC and DOHC. These acronyms are not just some mumbo-jumbo, and in fact, represent some critical aspects of an engine. So, if you are finding a hard time telling these two engine setups apart, here’s a detailed explanation of how SOHC and DOHC work. If the engine has a single camshaft then it’s called SOHC (Single Overhead Camshaft) engine and if the engine has two camshafts it's called DOHC (Double Overhead Camshaft) engine. Every engine, whether it’s air-cooled or liquid-cooled, needs camshafts, the main purpose of which is to open the intake and exhaust valves. - In the first step, the piston descends in the cylinder which allows the fuel-air mixture to get sucked into the chamber through the open intake valves. - Then, the valves are closed and the piston is pushed up again so that the air-fuel mixture is compressed inside the chamber. - After the mixture is compressed, the spark plug produces a small explosion that pushes the piston back down. -Lastly, as the piston moves back up again, it pushes the burnt gases out of the cylinder via the open exhaust valves. As you can see, SOHC engines have only one camshaft and that lone camshaft operates both the intake and exhaust valves. In comparison, SOHC engines produce less power than DOHC engines. But, the upside of having an SOHC engine configuration is that it's simpler and cheaper to manufacture, as well as lighter than DOHC engines. Also, as there are fewer parts involved in this configuration, maintenance costs are generally lesser than the DOHC engines. As mentioned before, DOHC engines have two camshafts, one that operates the intake valves and the other that operates the exhaust valves. 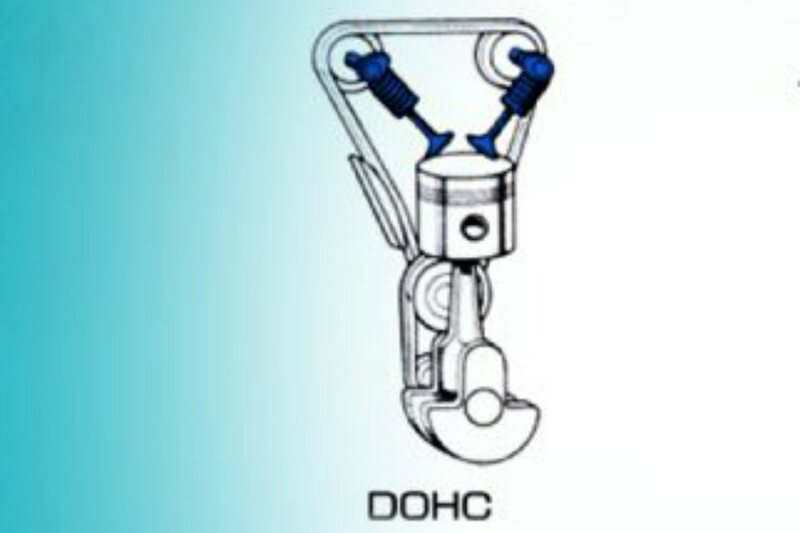 DOHC engines are considered to be more flexible in nature as they have more accurate control over valve lift and timing, and generally the go-to for multi-valve engines. 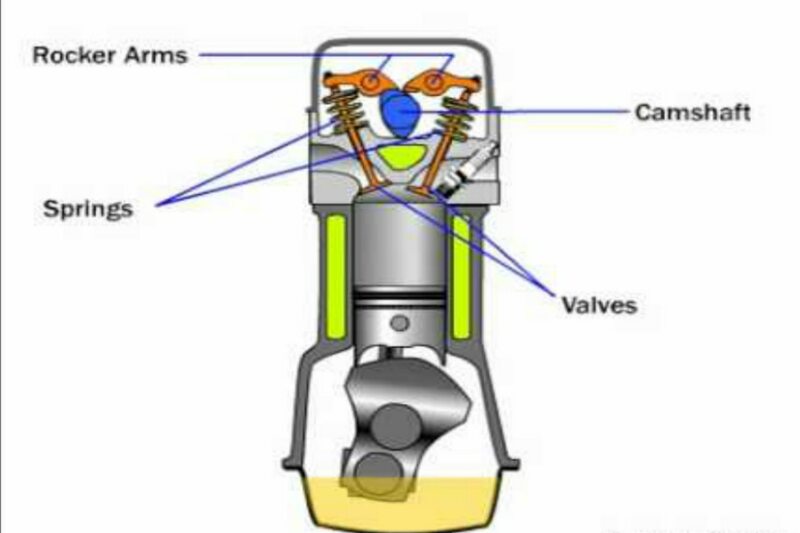 In such multi-valve setups, engineers can place the intake and exhaust valves as far apart as necessary, since each set of valves is driven by its own cam. This option is limited in a SOHC setup. Optimising valve placement, lift and timing allow the air-fuel mixture to be burned more efficiently. Also, the company can tune the engine as per their requirements; it can either tune the engine for more power compared to an SOHC engine, or it can be tuned for better fuel efficiency. The downside to these is that a multi-valve DOHC setup is more complex and expensive to manufacture compared to a simple SOHC head. And maintenance generally costs more as well. So, while SOHC engines are cheaper to manufacture and easier to maintain, DOHC allows engines to be tuned for better fuel efficient or better overall power output. That's why generally most budget motorcycles will come with a single cam setup while you'll find dual cam setups on the more premium performance motorcycles.